Written by: Anita Levesque on September 18, 2014. SAULT STE. MARIE – Melissa Cutler looks forward to rising these days — that’s perhaps because her future shines a bit more brightly. She does take medication for the mental disorder that’s dogged her since her early teens, and she still receives — albeit, less lately — medical assistance. But things appear to be coming together for the Sault Ste. 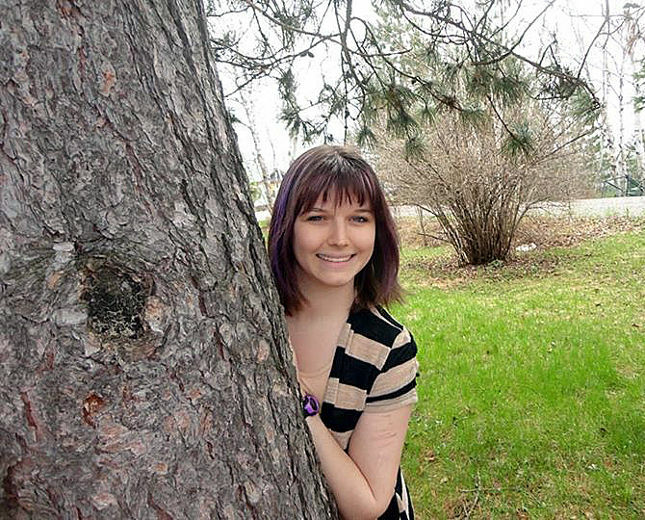 Marie woman, 21, for whom mental illness has been a constant companion for far too long. “I haven’t been in the hospital for about four months,” Cutler told The Sault Star this week. “I’ve been doing very well. Indeed. Cutler is easing back into her beloved dancing, harbours solid hope of soon enrolling in a personal support worker program and recently moved into her own apartment. This improved state appears a far cry from the condition in which Cutler found herself in early 2014 following two weeks of shock treatment sessions in Sudbury, that didn’t appear, at the time, to be effective. One thing is for certain: young adulthood has been anything but kind to Cutler. The Sault Star began documenting the Sudbury native’s plight in 2011 when the ambitious young dancer tumbled down the stairs at her dance studio after sustaining an atonic seizure. She had been diagnosed shortly before with epilepsy and had, previously, passed out. But the latter episode, which sent her to hospital with severe facial bruises, would end her association with Studio Dance Arts, a place she loved dearly. Then, late last year, a Star story told of how Cutler attempted to overdose at her Sault Ste. Marie apartment. A relative was notified something was wrong, and the young woman was discovered unconscious and taken to hospital. She stayed there until she was sent to Sudbury. Upon returning, she remained at Sault Area Hospital for about five weeks, where doctors adjusted her medication and pumped up her vitamin intake. Then, she began living with her step-father and receiving additional care from other family members, including an aunt and uncle in the city. Although eligible for Ontario Disability Support Program payments, Cutler said she is determined to follow through on not only becoming a PSW, but, eventually, a registered nurse. And not necessarily because she was always overwhelmed by the care she received. “I’ve actually been treated poorly a couple of times and I told myself I want to be a nurse that is not like that and I want to help people,” she said. Despite the fact hospitals have not always held all the answers for her, Cutler encourages anyone with symptoms of depression to see a medical specialist, the sooner the better. Cutler is easing back into the craft, involved in an upcoming production of Pippin, set to be staged early in the new year. “Lots of dancing and singing … I love it.,” she said. Seizures still happen, but are kept under control. Keeping in good company has also aided Cutler’s quest for wellness. “I was just tired of being depressed and I was hanging around very negative people and it wasn’t a positive lifestyle,” she said. “I was watching TV shows and I would see people who were so happy, doing what they love and they were just much happier.